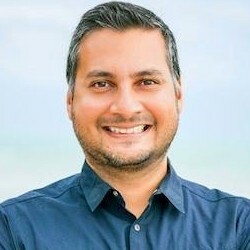 Most marketers say their company has style and brand guidelines in place for content, but less than half say their firm has developed more complex content structures such as a customer journey map or a messaging framework, according to recent research from Content Marketing Institute. The report was based on data from a survey conducted in February 2017 among 411 marketers (59% work for B2B companies, 21% for B2B-B2C hybrid companies, 10% for B2C companies, and 10% for nonprofit organizations). 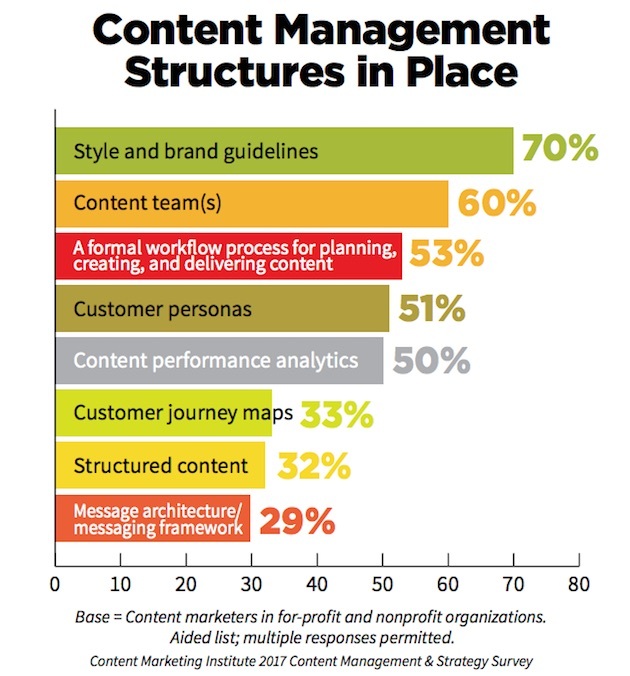 Some 70% of respondents say their firm has style and brand guidelines in place for content; 53% have a formal content workflow, 51% have developed customer personas, 50% use content performance analytics, 33% have created a customer journey map, 32% create structured content, and 29% have developed a messaging framework.